Robert Henry Lowie (June 12, 1883 – September 21, 1957) was an Austrian-born American anthropologist. An expert on North American Indians, he was instrumental in the development of modern anthropological theory. Lowie was born in Vienna, but came to the United States in 1893, graduated from the College of the City of New York (A.B.) in 1901, and from Columbia University (Ph.D.) in 1908, where he studied under Franz Boas. In 1909, he became assistant curator at the American Museum of Natural History, New York. Influenced by Clark Wissler, Lowie became a specialist in American Indians. 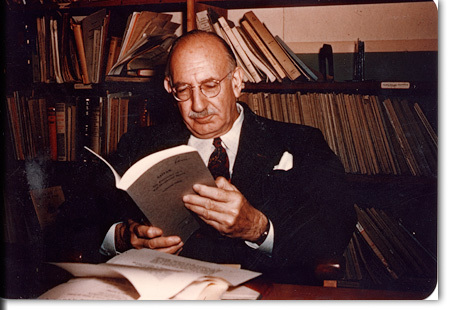 From 1921 until his retirement in 1950 he was professor of anthropology at the University of California, Berkeley, where along with Alfred Kroeber he was a central figure in anthropological scholarship. Lowie made numerous field expeditions to the Great Plains, and did significant ethnographic fieldwork among the Arikara, Shoshone, Mandan, Hidatsa, and Crow peoples. He also spent shorter field periods among other peoples of the American Southwest and South America. Much of Lowie's work was focused on salvage ethnography, the rapid collection of data on cultures believed to be near extinction. His theoretical orientation was within the Boasian mainstream of anthropological thought, emphasizing cultural relativism and opposed to the cultural evolutionism of the Victorian era. Like many prominent anthropologists of the day, including Boas, his scholarship originated in the German idealism and romanticism espoused by earlier thinkers such as Immanuel Kant, Georg Hegel and Johann Herder.